My Top 5 Tips to Stay Motivated! 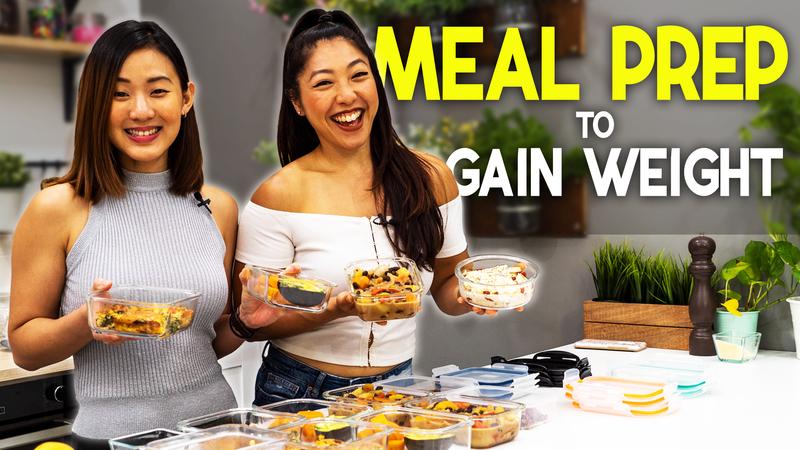 Assuming that you have set a very clear fitness goal for yourself, you were excited about it, you have started, however few weeks or months down the road, you find yourself losing motivation either to do your regular workouts or to eat healthy. Well, let me just start by saying that you are not alone, almost everybody will lose motivation somewhere along the road, especially if your goal is to maintain your current fitness level. Here are my top 5 tips to help you find your enthusiasm again! It can tough to accomplish somethings on your own. Sometimes, we need direction and so it is important to find your support network, either in the real world, online or both. You can do this by having a workout buddy, take up fitness classes, have a personal trainer or join this amazing online community called “PumpUp”. I have only recently been introduced to this new app. In short, it’s like a combination of Instagram & Facebook specifically for Fitness. “PumpUp” connects more than a million people from all across the globe who are on similar a journey like you, to keep fit and eat healthy. It is a great tool to view what other fitbies are doing and to stay motivated with your own fitness goal. Plus, you get to interact, share and inspire others with your progress too. If you can’t afford a personal trainer, this app also works as your virtual personal trainer. It allows you to build a workout based on your fitness level and areas, which you would like to focus on. My favourite feature is that right after a workout session, you can log your activity and it will give you an estimated calories burned. Then, share this immediately with your followers. For me, if you were to share your progress with others, especially on a platform when everybody has the same goal to keep fit, you will tend to be more accountable to stay on track with your goal. So, I would strongly encourage you to join “PumpUp” and you can find me under “Joanna Soh”. Achieving your goal whether it’s fitness or a life goal starts from within, not on the outside. Change your perception by being more aware of your thoughts. So when it comes to exercising and eating healthy, focus on the benefits, not the difficulties. The immediate thought of exercising tend to be tough and how it makes you tired. When you catch yourself thinking those thoughts, do not dive deeper into it, instead, change your thoughts and focus on how good you will feel when you are done exercising and how you will be one step closer to your goal. When you are in control of your thoughts and emotions, your action will naturally follow the positive energy you put out. So take charge or your thoughts and emotions, and create the life you want. With a clear goal, most of us will automatically track our progress. But to stay motivated, you need to recognize your progress, not merely track it. So, at the end of each day or at the end of your workout session, I want you to take just a few minutes to reflect on the milestone you have achieved and positive feelings you have gained from sticking by your plan. This daily self-reflection goes a long way for you to make a long term commitment to regular exercises and eating healthy. And of course, being human, external rewards can help too. So when you reach a longer range goal, for instance, you’ve lost 10lbs out of 20lbs, treat yourself to a new pair of trainers or workout clothes to push you even further. The more you recognise and reward yourself for your hard work and progress, the more motivated you will feel about reaching new milestones, thus finally accomplishing your goal. So you missed a workout session because you are too busy or let’s be honest, you simple don’t feel up to it. Well, be kind to yourself and take a break! It’s not the end of the world, your goal has not been ruined just from missing a couple of workout sessions or over indulging in your cheat meals. I am just like you and I do have my down days or weeks too. The important thing is to get back on track as soon as you can. So once you’ve regained your enthusiasm, get moving and re-focused. If you are at the maintenance stage, perhaps you might need to re-set your goals and activities again. Make them fun, try new activities where you get to meet new people too. Exercising doesn’t have to always be hard work, you are more likely to stick with a fitness programme if you are having fun! And the final tip is to commit publicly. I’ve always encouraged you to share your goal either with your family members, friends, co-workers or online. Even if you are not getting support from your loved ones, you have in a way set a challenge for yourself not to look bad in front of others. This can be positive and it can also be a huge motivation for you to go the extra mile and prove yourself. So hold yourself accountable to your words, don’t just commit once, but commit to giving updates on your progress to everyone at least once a week, even if your progress may not seem to others like anything worth celebrating, do it anyway. For me, there is nothing to be shy about, because you will gain in long term. 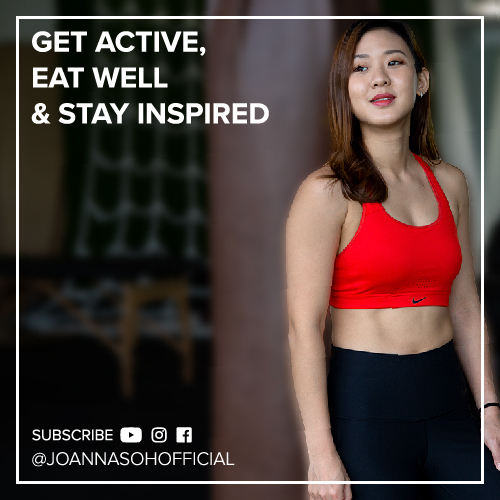 You can always share your goal and progress updates with me on my YouTube Channel, facebook page, instagram, twitter and even on the “PumpUp” app. By doing so, not only will you gain support and guidance from a wider fitness community, you will also achieve your goal and in return be an inspiration to others around you. Remember, staying fit and healthy is for life, so we are bound to lose motivation and direction at times. Review these tips whenever you feel your motivation is slipping and pick yourself back up. Do checkout other ‘fitbies’ on “PumpUp” and do follow me there as well.